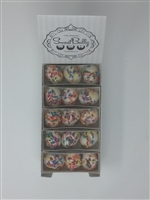 An assortment of six different flavors! 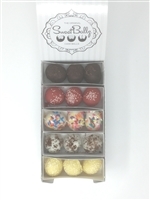 6 pieces each of Chocolate, Lemon, Salted Caramel, Cookies & Cream and 3 pieces each of Red Velvet and Birthday Cake for a total of 30 cake balls! 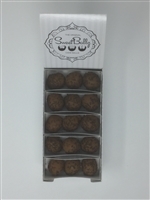 Sweet Ballz are a great fit for any type of occasion including weddings, showers, birthdays, events, celebrations, gifts, and during the various holiday seasons throughout the year. 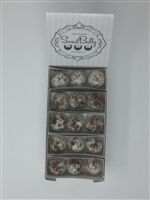 We offer fantastic quality cake ball products that are affordable, and competitively priced for your special occasions or catered events. 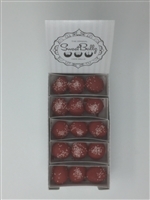 * All deliveries are estimated and may vary due to weather and other factors in shipping. 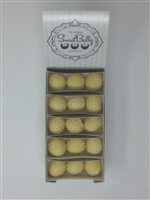 Some orders may arrive earlier or later than estimated day of the week, and refunds cannot be provided based on early or late deliveries. Copyright © 2013 Sweet Ballz. All Rights Reserved. Built with Volusion.